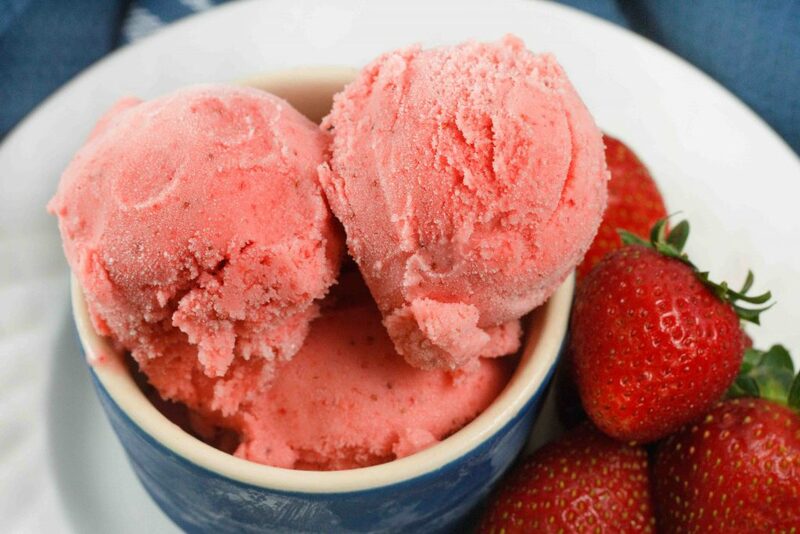 Home » Recipes » Dessert Recipes » Frozen » The Best and Easiest Strawberry Gelato Recipe You’ll ever Make! 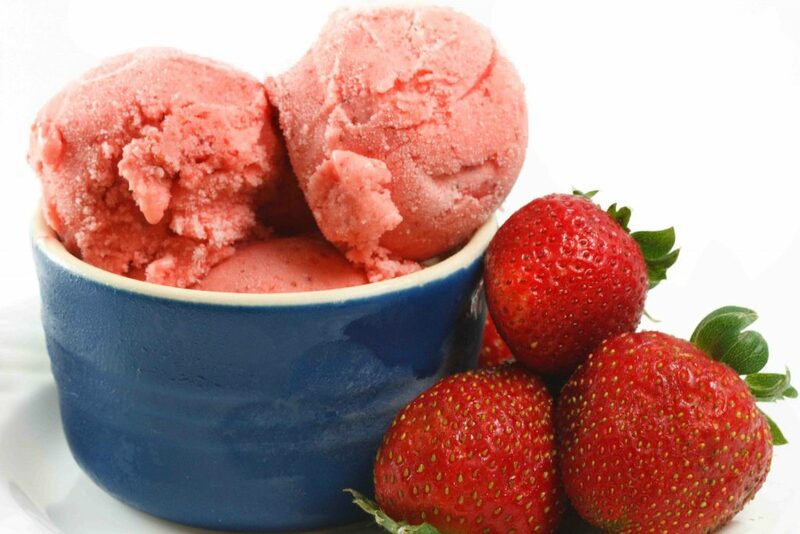 Everyone loves Strawbery Gelato and this easy to make fool proof recipe will work in your ice cream maker too! What could be better than Strawberry Gelato? Try this easy and oh so delicious and super easy recipe and decide for yourself. When I was in Italy, I just couldn’t get enough Gelato! I don’t care what time it was, or how cold it was, it was always time for gelato, but when I’ve tried it in the states (with very few exceptions) it just didn’t taste right. The flavor might have been there, but the texture was wrong, it was never quite right. Over the years I have attempted to make my own, always blaming the fact that it didn’t come out right on my ice cream maker because everyone knows you can’t make gelato in an ice cream maker…..sheeeesh. Well, I finally broke down and bought a gelato maker, I researched it quite a bit and from what I read the best value for the dollar was the DeLonghi GM6000 Gelato maker. Gelato is made differently than Ice cream, it’s denser and creamier, and the flavors are more intense than regular ice cream. The reason for this is due to a very important ingredient – air. American ice cream can contain up to 50% air. This results in a lighter airier texture. However, when making gelato, air is prevented from blending into the mixture. This creates the denser and more intense flavors that gelato is so popularly known for. Well, at least that’s what the review said…. So now I had the right equipment, I should be able to make gelato like I had in Italy…..sigh. The problem I now had was finding a good recipe, and trust me that was not an easy task! There are quite a few recipes out there, but most of them use cream, not milk, I know that’s wrong. 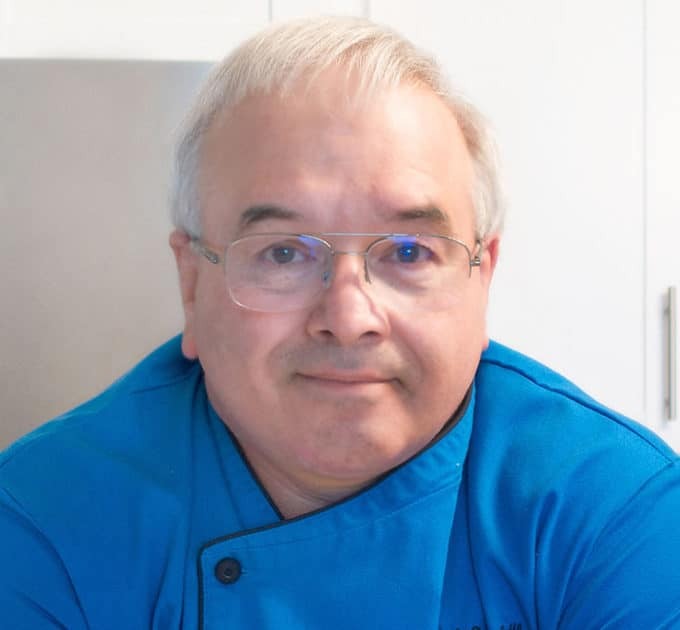 Then by chance, I stumble upon a fairly authentic recipe by Giuliano Hazan, it was getting rave reviews and if I couldn’t trust Giuliano who could I trust? The recipe was simple and straightforward, no extra ingredients or work. No custard to prepare, nothing to chill for 4 hours first, just me a food processor and my Gelato Maker. Life was good! I have to admit that the flavor was astounding, the preparation couldn’t have been easier, but it was more like a sorbet than gelato……..so close! Now I think it’s an easy fix, while the texture wasn’t bad I think the fact that it was made with mostly water, let ice crystals build up and it wasn’t as creamy as it should have been. So next time I make gelato I will use the same recipe, except try using milk instead of water, I’ll keep the cream at the same amount and see what happens. 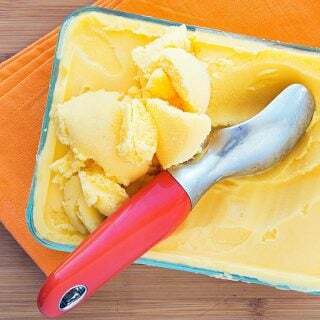 For more delicious gelato recipes check out this post with my 11 favorite gelato recipes. 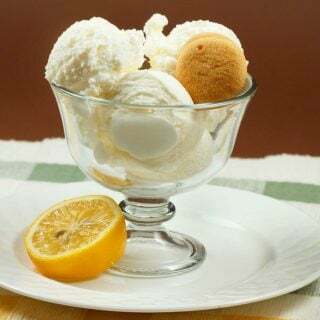 If you’ve tried my Gelato recipe or any other recipe on askchefdennis.com please don’t forget to rate the recipe and let me know where you found it in the comments below, I love hearing from you! You can also FOLLOW ME on Instagram @chefdenniseats and @chefdennistravels, Twitter and Facebook. Remove the stems and leaves from the strawberries and rinse in cold water. Place the strawberries, lemon juice and the sugar in a food processor and process until liquefied. Add the water and run the food processor until all the mixture is smooth. Whip the cream with a wire whisk until it begins to thicken slightly and becomes the consistency of buttermilk. Mix the cream and strawberry mixture in a bowl and mix thoroughly. 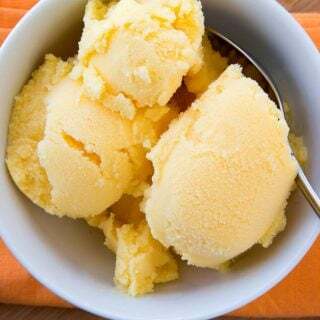 * try using milk instead of water for a creamier texture, using water the consistency is more like a sorbet. **To avoid ice crystals try making your mix ahead of time and refrigerating it for 12 -24 hours to get it very cold. Also chill the canister that the ice cream is being made in if possible by placing it in the freezer for 24 hours. Then place the finished ice cream in the coldest part of the freezer. This will speed up the freezing process which should help reduce the ice crystals. ***adding an ounce of alcohol will also help reduce the ice crystals. this is a great base for just any type of fruit you’d like to use. I have made melon gelato before, they are generally not as flavorful but very refreshing. Can I use the same receipt to do a pistachio a Gelato? yes you can but you’re going to have to make a pistachio paste to use with the recipe. Blanch peeled pistachios, dry with paper towels then pulse in food processor with the sugar from the recipe. Once the sugar and pistachios have been finely ground add in some of the milk to cream the mixture. It’s been a long time since I made pistachio gelato and that’s from memory. I have also made it using store bought pistachio paste. Does it matter what type of alcohol you use? For instance, vodka vs. sweet Riesling . Also, do you have a good French Basque cake recipe? Made this last night. The strawberries were too tart so I cooked the chopped strawberries with the sugar for a few minutes, then blended it. I added milk as you suggested but made it in an Icecream maker. The taste and flavour is fantastic. The best I’ve ever eaten! The only issue was it had too many ice crystals. Would you have a work around for this? I’m not sure how warm the cooked strawberry mixture was when you made the ice cream but that could have been the culprit. To avoid ice crystals try making your mix ahead of time and refrigerating it for 12 -24 hours to get it very cold. Also chill the canister that the ice cream is being made in if possible by placing it in the freezer for 24 hours. Then place the finished ice cream in the coldest part of the freezer. We made a double batch of this for our Mother’s Day celebration and it was delicious. We used milk instead of water as you suggested, and churned it in our ice cream maker. The strawberries were perfectly ripe and that came across beautifully in the gelato. Thank you! 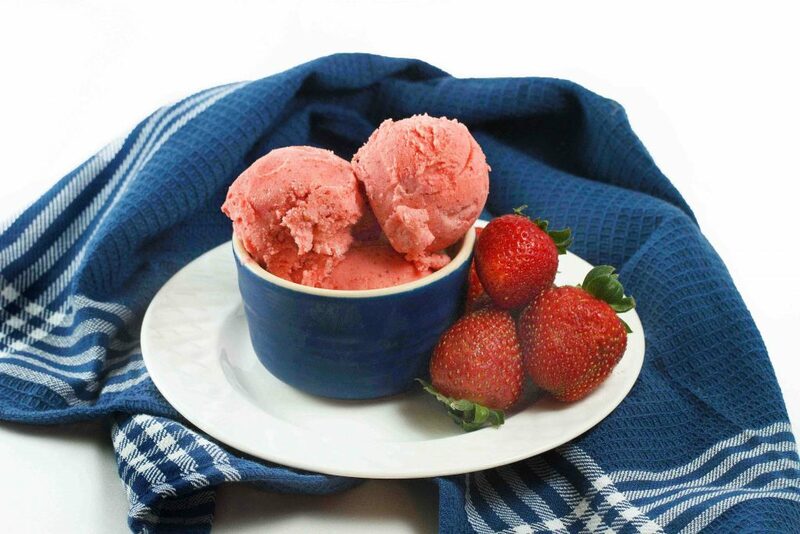 I’m thrilled to hear you enjoyed my strawberry gelato recipe, its one of am all time favorite frozen desserts! I’d love to try a chocolate gelato recipe. Do you have one by chance? Thank you for this delicious recipe I made it with water in a Cuisinart ice cream maker. I bought fresh strawberries and cut them up and froze them first to aid freezing. I also added a teaspoon of glucose to stop it getting to hard and I used icing sugar as it dissolves very easily. I think it was my strawberries but it came out a little bland – I’m wondering if I can change the 3/4 cup of water to 1/4 cup of water to intensify the strawberry flavour? I don’t think changing the amount of water is the issue. When you used the powdered sugar, did you increase the amount? To equal 1 cup of granulated sugar for sweetness, you need to use 1.75 cups of powdered sugar. If the strawberries were not very flavorful the less amount of sugar would have been more noticeable causing the blandness. I would suggest trying it with regular sugar and see how it comes out. Thank you no I had no idea powdered sugar was less sweet – I will try with regular sugar. I did make some nice gelato yesterday with 1lb of mixed blueberries and raspberries (strained), 1 cup of icing sugar and I used 1/2 cup of cream and 1/2 cup of milk – so slightly less liquid. I think the fruit was sweeter and had more flavour so it worked better and was a lovely intense colour. The mixture was a little thick though. Roll on the fresh summer fruit! Have fun making frozen desserts! I love this gelato recipe and have used it for both strawberry and peach gelato. But my husband wants it sweeter. Can I add a little extra sugar without losing the correct fruit to sugar ratio so that the gelato doesn’t freeze properly? How much more sugar can I successfully add? I’d appreciate any help you can give me. you can add extra sugar to the recipe. Adding more sugar will lower the freezing temp of the gelato a little keeping it a little softer, which is a good thing. As to how much more you can add I’m not really sure how sweet you want it but you could start by adding an additional 1/4 cup to see if that’s sweet enough for your husband. If not the next time try a little more. Thank you! I have read that the balance of sugar to fruit is very important and throw of the batch do wanted to check before trying it! Love your recipes! My husband, who treats me much better than I deserve, got me a gelato maker for Christmas. I have your strawberry gelato churning in the machine right now. 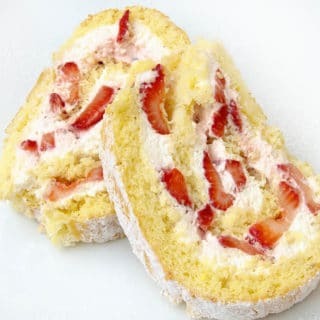 I made it with milk rather than water as you suggested, and used whole frozen strawberries since the fresh ones just aren’t very flavorful right now. If the frozen gelato tastes as good as the leavings in the mixing bowl, I will be thrilled! I am seeing this same recipe made with peaches, blackberries, and maybe even apricots (probably will take a bit of extra sugar for these) in our future. Thank you for a wonderful recipe that I know I will use often. I’m very happy to hear you got a gelato maker for Christmas and I’m sure your husband wishes he could do even more for you. I know that’s how I feel about my wife. Thanks so much for trying my recipe and you can easily adapt it for just about any flavor you like! Have fun with your gelato maker! Yummy! So simple, delicious and definitely easy to make. I’m out now to buy ingredients! 🙂 Thanks! I hope you enjoy it as much as we did Megan! Just one word – yum! Thanks for sharing this super-simple recipe, Dennis! you are very welcome Janice! Will this still work in a traditional ice cream maker (cuisenart)? I realize the consistency won’t be quite the same, but I looked into Gelato makers, and the portions they make are just not enough to satisfy my family of five. In addition, my freezer wouldn’t be at the right temperature to store said gelato anyway. I have shied away from strawberry recipies for fear they wouldn’t freeze. My strawberry and cream (ice cream) recipe has the berries added in at the end for this reason. Would love to emulate the delicious berry gelato I enjoyed in Rome. Thankfully we have an authentic Italian born/trained gelato maker who owns a shop in our city, so I still get to enjoy good gelato. yes it will. It’s a very easy recipe to use and I’ve made many varieties using the base mix. Five stars: This is a fantastic recipe – I’ve made it a number of times and everyone loves it. Thank you for sharing it! 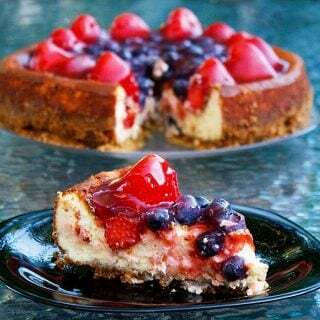 It is a easy and delicious recipe! Thanks so much for the feedback Yael! Simple and quite delicious. Thanks! This is a wonderful recipe. Neither my husband or I really care for strawberry ice cream, so I’m not sure why we tried it. It was so great, I have made it 5 times now! it really takes the ice cream to a new level! Thanks so much for letting me know Sarah and I’m very happy to hear that you and your husband enjoyed the recipe! The strawberry flavor is fantastic. I used water since I didn’t see the note, so my “gelato” is closer to a sorbet. If you really want a gelato, use milk as said in the note. Hi Dennis. Love the fact that you have put a great deal of effort nto tracking down an authentic repipe. You mention in your blurb that it should use milk not cream, but the recipe you have chosen has cream no milk? Also you suggest that milk instead of water may be better. Did you actually try this yet? A little confusing. Appreciate your thoughts. Cheers and thanks. what I meant about the cream is not using all cream, its still good to have some cream in this recipe if you are using water. Yes I have made this using milk instead of water and it does improve the texture, it is my preferred method now. And by using all milk I have eliminated the cream altogether for most of my flavors. I have a few other types flavors of Gelato on my blog, if your’e looking for more ideas. lovely gelato post! that first pic is so cuddly! loved that air-no air trivia! gosh, you really have so much gelato! I never fail to learn something when I visit — and I never fail to salivate either! Love gelato! Bravo, Chef Dennis! lovely strawberry ice cream chef! Oooh… gelato! What memories this brings back from living in Bologna. My favorite place was Gelatauro. Thanks for the tips on photography as well. I also remember the gelato in Italy. Heck, I remember everything about Italy and miss it immensely. I sorry that the recipe didn’t end up as hoped, but it is incredibly gorgeous. I’m curious to hear how it turns out once you substitute milk for the water. Cheers, my friend. I’m not a huge ice cream fan, but that being said, I’m VERY eager to try the gelato on our upcoming trip to Italy!! I am a big fan of the full flavors that you describe, and I’m eager to experience the texture. 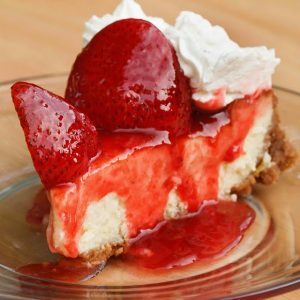 I love the fruit here, the strawberry is one of my favorite flavors, and the idea of the intense flavor is very appealing, more fruit, less… well, less fake flavor that I find in the store here. I so with I was going to meet with you all at the Foodbuzz Festival! I promised myself last year that I would attend this year, but I guess it will have to be next year. Congratulations on the award nominations, Dennis! So well deserved!!! Oh I loved having GELATO every single day when we were in Rome! I’m so glad to see this recipe. Must try this one. Hope I can make it as good as the one in this photo! Thanks for sharing, Chef Dennis! The gelato looks soooo delicious! Admittedly a good gelato is my vice. Love the photography tips too! Now you have me wanting to get a gelato maker!! Thanks so much for your helpful tips. I just got the Plate to Pixel book for my birthday and have been reading it. So much to learn!! These are some very helpful tips! I have a great tripod but am sometimes to lazy to use it, I really need to change that. I love reading about other peoples experiments and persistence. The joy is always in the the journey, and some destinations are pretty damn sweet too! Three scoops for me please! Maybe that is asking too much, how about just two. Not looking forward to winter and shooting without natural light, sigh. Hope you have a great week. Great advice on cameras Dennis. Thank you! I know I need a new camera as well as time to gain more skill. As for the gelato, I have tried Gelato once and for some reason I keep returning to ice cream instead. I have this weird idea that gelato won’t be as flavorful…. I soooo need to try this because looking at it, I think it will prove me wrong. What a beautiful gelato….gorgeous color! And thank you so much for sharing your photography tips. I’m going to look into your light source since the weather is eventually going to force me to shoot more indoors! Great post! Dennis, this looks so good, I have never made gelato before but now I seriously want to try it. I am pinning this right on Pinterest…thanks so much! Your gelato looks delicious!! I am sure it tastes as good as it looks. I would love to make this recipe. I always think of my childhood visits to Budapest; the Hungarians also make a gelato-like ice cream that was just wild with flavour. Unbelievable flavour that no North American ice cream could even come close to. Strawberry was my favourite. Thanks for the trip down memory lane. If I wasn’t allergic to strawberries I would jump on this like a cat on a mouse. Nice tips and links here in regards to photography-much appreciated. Also, your strawberry gelato looks amazing. Great tips! And this gelato sounds wonderful. I love it and sounds very simple to make! I don’t know how you can make frozen treats look good! I’m not even close to there yet. I LOVE gelato. In fact, I don’t even mind that this is strawberry flavored! I have to try this at my house. I think everyone will be a huge fan. Thank you for all that you do for the food community, Dennis. I hope you are having a good week! I totally love gelato and particularly the strawberry flavor. You know, the Indian version of gelato is kulfi. Very rich and creamy and traditionally made without any air. If you ask me, totally decadent. As for the photography, it’s true that you can produce good images with just a P&S. I personally don’t own any fancy gears (D-SLR, tripod), but I sure wish I had an SLR for better quality images. Btw, buzzed! Something I still need to try! My daughter lived in Italy for 3 years and always raved about how much more flavorful Gelato is than American ice creams. It looked so good I almost licked my laptop’s screen! If you’re going to make these, you’ll probably need 3-4 otherwise you get bad shadows depending on how you angle the lights. The size of these boxes is cumbersome if you have limited workspace – I often struggle to get enough light into my photograph without actually having the box in the photo. Also, while the mesh has a structural role it also absorbs a lot of the light from the bulbs. I even used a twin socket adapter within and my photos still came out very dark. I’ve recently been working with compact fluorescent bulbs screwed into clamp lights. It works really well in the lighting department, and the clamps make the lights versatile as far as location. The only downside is the glare I get from reflective surfaces like plates, but I suppose I could build something out of dowel rods and tissue papers to diffuse the light. This looks so good. Sadly I’ve never had a true gelato so I’m not sure I’d know the difference in taste. One day I’ll get to try the real deal. I am happy to know the gelato machine works well. I was scoping it out online one day. Haven’t pulled the trigger yet though. I always appreciate the advice you offer here. I’d be lost without your “ask Chef Dennis” series. I am still using my yucky kodak easyshare. It’s the nicer model but it’s still ancient and not up to snuff. But I am determined to learn to use it well before I invest in a nicer camera. I have to say I loved my Bro’s Rebel when he visited. But I’ve also eyed the Nikon one The Pioneer Woman recommends. I want to go to the camera store one day when I have some free time (falls down laughing) and try them all out. See how they feel as well as function. Like buying a drill, if it doesn’t feel right I don’t want it. Lol! You should see how much research I put into picking my sander, if it’s any indication of the camera buying process this could take awhile. See, us girls like toys too. Lol! I wish I was going to the foodbuzz thing. Take lots of pics!! Hi there Chef Dennis! GREAT information! I remember the gelato in Sicily – it was amazing! I think my favorite had roasted espresso beans in it. I could only find it in the Piazza across from St. Agatha’s Cathedral in Catania. It was amazing! Thank you! I always had a general idea, but I never knew exactly what made gelato, well, gelato. Thanks for this post and for reminding me of Italy.